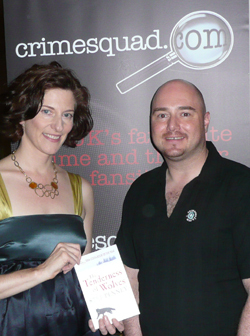 Way back in October 2006 CRIMESQUAD.COM selected an exciting new author, Stef Penney, as our "Fresh Blood Author of the Month" for her debut novel, The Tenderness of Wolves. 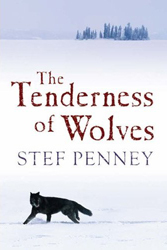 Fast-forward to July 2008 and we were thrilled to see Stef Penney win the Theakstons Old Peculier Crime Novel of the Year award for The Tenderness of Wolves at the 2008 Harrogate Festival. 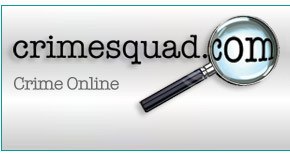 Our picture shows (l-r) Stef Penney and Chris Simmons, CRIMESQUAD.COM online editor. "This is a sweeping, panoramic saga of epic proportions." It is Canada, 1867. A local trader, Laurent Jammet, has been found murdered in his cabin. This causes many ripples within the small community of Caulfield. At the same time, Mrs. Ross’ son - who was close to Jammet - has disappeared. It is not long before rumours abound that Francis Ross could possibly be the murderer on the run. His mother will not hear such things and prays that her son returns home safely and with an alibi. When Francis does not turn up, Mrs. Ross, whose husband, Angus, does not care for the lad, decides to take matters into her own hands. The men from the Hudson’s Bay Company have arrived to find the perpetrator of this heinous crime. Soon, a man who was caught at Jammet’s cabin has been arrested for the murder. Mrs. Ross believes he is innocent and that this man can lead her to her son. When he escapes they start a long journey where each discovers many secrets about the other, as well as about themselves. This is a sweeping, panoramic saga of epic proportions. It is a novel, not only about finding the perpetrator of the crime that opens the novel, but of self-discovery. The novel is a wonderful, multi-layered story told from the viewpoints of different settlers in the town of Caulfield. Everyone seems to have something to grieve about - whether they are the ones embarking on the long journey or being left behind. The writing is remarkably accomplished and deftly manages to make all the characters that populate this novel completely three-dimensional. Penney has allowed us to see people’s thoughts, emotions and their insecurities whilst making them all very human and believable. You could probably not simply class The Tenderness of Wolves as a ‘crime’ novel. It is a tale about the events that take over a knot of people with simple lives and brings them a sense of adventure and purpose. With that feeling of danger, it also brings them an understanding of things that they have taken for granted for years. This subtle and superb novel brings the freezing landscape of the Canadian woods to such vivid life that the landscape itself becomes a strong character within the story. Once you have dived into the tiny, closeted world of Caulfield and it’s forbidding surroundings, you will certainly not wish to leave. I suggest you put the coffee on and light the fire, because you will need all the warmth you can get when you journey out into the frozen wilderness with the determined Mrs. Ross. This is definitely a book not to be rushed, but to be savoured like a mature, fine wine.